Fifteen-year-old Jessie Ann Gaebele applies for a job with a photographer in 1907. Captivated by the art and an adept student, she soon begins running the studios of artists suffering from mercury poisoning. But is she preparing herself to own her own studio---or fleeing from her relationship with her older married tutor? 400 pages, softcover from Waterbrook. With the infamous hazards of the explosive powder used for lighting and the toxic darkroom chemicals, photography is considered a man' s profession. Yet Jessie shows remarkable talent in both the artistry and business of running a studio. She proves less skillful, however, at managing her growing attraction to the very married Mr. Bauer. This luminous coming-of-age tale deftly exposes the intricate shadows that play across every dream worth pursuingand the irresistible light that beckons the dreamer on. At prearranged times, the author makes herself available by speakerphone to answer questions and participate in book group gatherings. Shes done this from the Netherlands to Nebraska, from Florida to the Pacific Northwest. 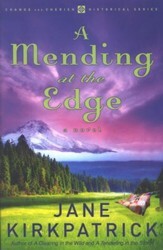 Arrangements can be made through her Web site at www.jkbooks.com. The use of this guide is not a prerequisite for such phone gatherings. 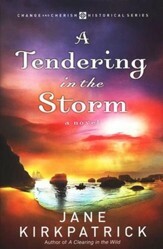 Historical novelist Kirkpatrick (A Tendering in the Storm) is exceptionally authentic in her use of early 20th-century history. Virtually all the characters are real figures; protagonist Jessie Ann Gaebele is inspired in this biographical fiction by the writer's own grandmother. Jessie Ann loves photography, and when she is hired as an assistant to photographer F.J. Bauer, she learns about the field of her dreams and also about herself, as she finds herself attracted to her married boss, who battles his own feelings in return. Kirkpatrick renders the war among desire, duty and restraint with exquisite nuance. There are no unsympathetic characters in this tangle of relationships. Bauer's wifealso named Jessiemay be difficult to live with, but she has her reasons. The period detaildangerous chemicals used in photography, debilitating and frequent illnesses, the routine constraints on women's choicesoffers a compelling portrait of the time. Kirkpatrick deserves a wide audience for this coming-of-age tale that is aching and hopeful. (Apr. )Copyright 2009 Reed Business Information. 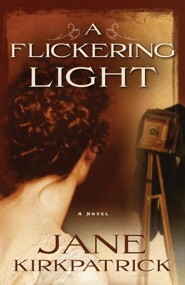 STARRED PW REVIEW: A Flickering Light by Jane Kirkpatrick. "Jane Kirkpatrick has done it again. A Flickering Light is as engaging, well researched and finely written as her other best selling historical novels. Her characters are real people with real temptations and at the end of the novel, this reader wants to know what happens next." 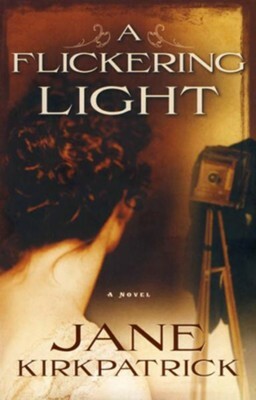 "Jane Kirkpatrick's brilliance as a storyteller and her elegant artistry with the written word shine like a beacon in A Flickering Light. A master at weaving historical accounts with threads of story, Jane has that rare ability to take her reader on a journey through time. You nearly feel the ground move beneath your feet." 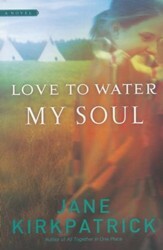 "Jane Kirkpatrick handles some very difficult issues and situations in A Flickering Light. Her attention to historical detail is greatly appreciated and defines her mark on this story. I will watch with great anticipation to see where this journey takes us as the series continues." 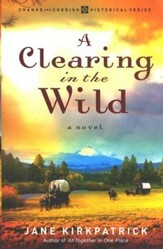 "One of the marvels of this novel is Kirkpatrick's uncanny ability to enter into the minds and hearts of many characters and inhabit them with authority, generosity of spirit, and wisdom. You'll want to read slowly so you can savor each paragraph, each scene, each chapter." K. L. Cook, author of The Girl from Charnelle, winner of the 2007 WILLA Award for Contemporary Fiction, and Last Call, winner of the Prairie Schooner Book Prize in Fiction. "The dilemma of being an independent, artistic woman in a conservative, strict society is brought to light with great empathy by Ms. Kirkpatrick's compassionate recreation of Jessie Ann's life as one of the first female photographers. What Ms. Kirkpatrick accomplishes with absolute grace through memorable imagery is recognizing and honoring the eternal plight of all soul-seeking women through the story of one young girl who was determined to follow her creative passion." I'm the author/artist and I want to review A Flickering Light, Portraits of the Heart Series #1.